Regiment/Catrawd: 11th Battalion, Royal Fusiliers. Service Rank and Number / Rheng gwasanaeth a rhif: Private No.23375. Military Cemetery/Memorial / Fynwent milwrol: The Arras Memorial at Faubourg-D' Amiens Cemetery, Arras. Ref No Grave or Memorial / Rhif cyfeirnod bedd: Bay 3. Killed in action aged 23 years. Arthur Draycott was born in Chester, Cheshire during 1895. The 1901 Census shows that the family lived at 14 Frodsham Street, Chester, Cheshire. The head of the family was John Draycott aged 46, a Publican. His wife Henrietta Draycott (nee Perrit) aged 40, who had been born in Geneva, Switzerland and their four children – John Draycott aged 12, William Draycott aged 11, Hilda Draycott aged 8 and Arthur Draycott aged 6 years. Also living with them was Elizabeth Eaton aged 17, who was employed by the family as a Domestic Servant. The 1911 Census shows that Arthur now lived with his Aunt, Mary Jane Draycott, at Picton House, Marine Drive, Rhyl, Flintshire where she was a Lodging House Keeper. After leaving school in Rhyl Arthur obtained employment in London with the London and Provincial Bank. On 21 January 1915, he enlisted at Fulham, London as a soldier with 11th Battalion, Royal Fusiliers. The Cheshire Post – 16 June 1917. Private A Draycott of the Royal Fusiliers, the notice of whose death in action recently appeared in the Observer, was a former pupil at Grosvenor School, and a member of St John’s Choir, Chester. When residing at Rhyl he completed his education at Rhyl Intermediate School and from there obtained an appointment on the staff of the London and Provincial Bank in London. Responding to his country’s call, he joined the Royal Fusiliers and had been serving at the front since July. The Sergeant of his platoon has written to Private Draycott’s mother narrating how he met his death the morning of May 3rd. His comrade spoke of him as being a good soldier and cheerful, willing and much admired for his cool courage, and added that he will be greatly missed by all members of his platoon. On 6 November 1917, payments of £1.14s.11d were made by the War Office to Henrietta Draycott, William Draycott, Hilda Draycott and John Draycott. On 19 December 1919, a War Gratuity payment of £2.10s.0d was made to Henrietta and on 1 March 1920 further payments of £1.5s.0d were made to William and Hilda Draycott. 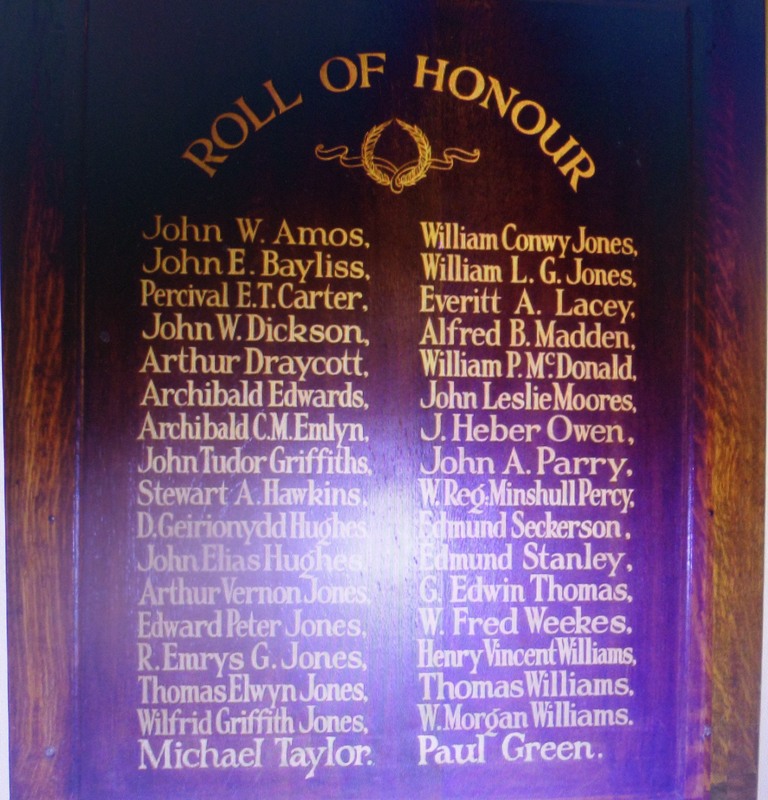 Private Arthur Draycott is also remembered on a Roll of Honour Plaque which was on display at The County School, Grange Road, Rhyl. There is a Flintshire Roll of Honour Card for Arthur Draycott at the County Archives Office, Hawarden, which is undated.